Allenora, Annie's Signature Salon Islamabad, is a full-service salons that offers a complete range of services for ladies only including skin and spa treatments, hair services, bridal and party make-up. Allenora, Annie's Signature Salon is dedicated to providing a complete range of services in a hygienic and safe environment by women who are fully trained to serve their guests in the most professional manner. Allenora, Annie’s Signature Salon, is known to be a favorite choice among top TV actresses such as Hina Bayat, Mishi Khan, Anusheh Ashraf. 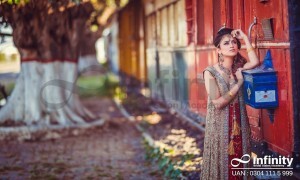 In addition, many top models such as Nadya Hussain, Fauzia Imam and Iraj Manzoor have done fashion shoots with the salon. Allenora, Annie's Signature Salons, represent a large chain of reputable salons across the country with branches in Lahore, Okara, Islamabad, Multan, Bahawalpur, Faislabad and other cities. Allenora, Annie’s Signature Salon, offers a refreshing and relaxing atmosphere which has been decorated with upbeat yet soothing colors of aqua and turquoise. Pleasurable scents are always burning at the salon in order to provide an all around spa experience. The salon is a one-stop-shop for women who are looking to care for their basic beauty needs, pamper themselves or who are preparing for their big day. Reasonable prices combined with excellent, high quality services are the reason many of their clients have become repeat customers. Customer satisfaction is the hallmark of Allenora, Annie’s Signature Salon and they aim to achieve high levels of customer satisfaction with their attention to every detail which helps to ensure an enjoyable experience and utmost satisfaction for our customers. Allenora, Annie’s Signature Salon, offers an extensive range of services including specialized facials such as Deep Cleansing, Herbal Facial, Glowing Whitening Facial, Acne Facial, Pearl Whitening Facials and more. For Hair, Allenora Annie’s Signature Salon offers rebonding, transformation, X Tenso, Permanent Keratin treatments, color and dye. 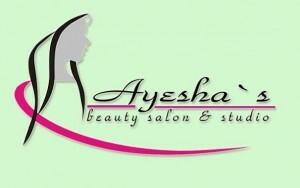 They also offer waxing, threading, and a variety of luxurous manicures and pedicures. The most popular services include the glowing facials, Xtenso, conditioning hair treatments, paraffin manicures and pedicures. At Allenora, Annie’s Signature Salon, only top quality products are used which include L'Oreal, Chi, Guinot, Dermalogica, Dr. Rimple Illsapro and OPI. Allenora, Annie’s Signature Salon, also offers a range of packages and deals which can be viewed on their Facebook page. 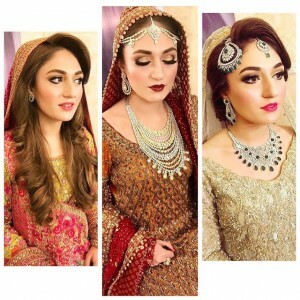 Annie Mansoor's signature brides are revered across the country, with many young girls and women yearning to be dressed up by her. Allenora, Annie’s Signature Salon, prides itself on providing excellent bridal makeup and services to its customers. The salon provides high quality services and makeup to brides and strives to help make their special day a truly memorable experience. Included Whitening and Regenerating facial, Manicure & Pedicure (Full legs & arms), Under arm wax, Eye brows & upper lips threading. Included only Whitening and Regenerating facial. Package includes Regenerating and Whitening facial, Full body wax(not under legs), Manicure & Pedicure with polisher, Eye brows & upper lips threading and Mehndi on hands & feet.